Director Rian Johnson’s Star Wars: The Last Jedi, the eighth installment of the film series, is visually stunning, with an array of dazzling colors, frighteningly gorgeous explosions, and magnificent vistas of land and water. There are also the grand and silent expanses of space, so still and peaceful until filled with enemy combatants, reminding us that wars (star ones and otherwise) wreak havoc no matter where they occur. But beyond the sheer visual majesty of the film, there is the human element that is simple yet profound. As always at the heart of any Star Wars film is the eternal struggle of good and evil, with evidence of the gray area in between that either side can visit and exploit. 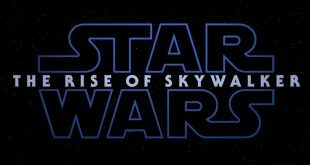 If Star Wars: The Force Awakens can be considered an invigoration of this film series, The Last Jedi makes a case for being one of the best of the bunch by bringing things back to basics – especially revisiting the Skywalker family that has been at the heart of all eight films. In The Force Awakens it was a chance for Han Solo (Harrison Ford) to take center stage, and this time it falls to Luke Skywalker (Mark Hamill) to step forward. If you are expecting to see Luke be something like the starry-eyed farm boy who wanted to rush off to Toshi Station to get some power converters, you will be very disappointed. This incarnation of Luke is grizzled and gritty, with shades of Obi-wan Kenobi (Alec Guinness) from A New Hope but a more cantankerous and dark version. Purposefully making himself an outcast on a remote island near the ruins of the first Jedi temple, Luke’s not looking after anyone as Obi-wan did with him on Tatooine; rather, he has gone to this isolated place to live out his years in isolation and die. The arrival of Rey (Daisy Ridley) holding Luke’s father’s lightsaber in hand (you know, good old Darth Vader) is at first an annoyance for Luke, but as their tempestuous relationship evolves it becomes one of teacher and student, albeit one far different than Obi-wan and the young Skywalker. As Luke sees Rey’s inherent power, it frightens him to think about what could happen because, as Yoda saw in his father, there is a darkness in Rey that may blossom if left unchecked. There is, of course, the by now familiar story line of the Resistance led by General Leia Organa (Carrie Fisher) trying to outrun the First Order led by her son Ben Solo/Kylo Ren (Adam Driver). It is both comforting and unsettling to watch Fisher’s scenes knowing that she is no longer with us, but her gutsy performance is the essence of what her character has always been. Force sensitive without having Luke’s raw power, Leia is perhaps the most important Skywalker in that she has been able to harness the Force to lead others in the fight against evil; however, her rag-tag rebels are fleeing because they have been decimated by the First Order and seem to be on the brink of extinction, so things are not looking good for her or her followers. Poe Dameron (Oscar Issac) and Finn (John Boyega) are back along with adorable robot BB-8. Add new character Rose (Kelly Marie Tran) to the mix, and this trio attempts to engage in a dangerous mission behind Leia’s back to disable the enemy’s tracking device in order for the rebel forces to escape. Of course, this involves Finn heading back to his old stomping grounds on an enemy vessel and puts him on a collision course for a showdown with his former tormentor, the chrome-armored Captain Phasma (Gwendoline Christie). On the enemy side we see the bickering between General Hux (Domhnall Gleeson) and Kylo as they each seek to win favor with Supreme Leader Snoke (Andy Serkis). This time around they are all aboard Snoke’s ship, and we get to see Snoke in person. In contrast to the way Luke and Rey are interacting, Snoke admonishes Kylo and pronounces him as unready to be what Kylo always wanted to be – the next Darth Vader – and belittles him for wearing a mask, calling it “that ridiculous thing.” It becomes clear that Snoke is trying to push Kylo over the edge, and a subsequent scene when Kylo destroys his mask in an elevator captures the frustration of the student of an unappreciative master. Another story line has Kylo and Rey connecting over time and space through the Force, with each being able to “see” the other despite great distances. Their connection is enticing as it is frustrating – Kylo knows that she is with Luke and we wonder about his ulterior motives – but there also seems to be an emotional and dare I say a possibly romantic connection evolving. A scene with the bare-chested Kylo causing a reaction in Rey is both hilarious and disturbing. Relationships are key in this film and the one between Luke and Rey carries the most weight. As secrets are revealed and dark memories revisited, the element at the center of all the movies in the series gets clarified and in some ways redefined – the Force is much more than we ever imagined and not merely a Jedi religion. The Force cannot end if the Jedi and Sith perish – the Force is forever. It is dark and light and everything in between and holds the universe together, but the dark side is insidiously alluring. Luke tries to clarify this for Rey before it is too late, knowing that Kylo is trying to pull her away from the light. Prepare to get emotional throughout the movie, especially during key moments between Luke and R2-D2, Leia and Rey, and Luke and Leia. When Luke tries to tell R2 off about going back and helping his sister and the Resistance, the plucky little droid shows him the holographic message from A New Hope when Leia put the Death Star plans into R2 and told Obi-wan that he was her only hope. Leia and Rey have a connection that no doubt is entwined with the Force, and it seems as if Leia can be the maternal figure Rey has always wanted and needed. One of the most touching scenes will bring tears to the eyes as Luke and Leia reunite and find some closure after so many years. One of the most enduring elements of the Star Wars films has been its music, and John Williams is back to once again enrich the film with his luxurious score. There are many scenes that are intensified with appropriate music at just the right moment, and I seriously doubt that anyone will be without a lump in his or her throat as Luke stares at a sunset and the music wells similarly as when he looked at the sunset on Tatooine so many years ago in A New Hope. The stark visual beauty of that scene and so many others in the film is astounding, with cinematographer Steve Yedlin being partners in crime with Williams to truly enhance the viewing experience. Star Wars: The Last Jedi is not only a better film than its predecessor, but stands with The Empire Strikes Back as the best in the series. It is also a tribute to the imagination of George Lucas, whose original characters and story of the Skywalker family continues to resonate 40 years after it all began. We still care about Luke, Leia, R2, and C-3P0, and the same can now be said of this new generation of characters – Rey, Poe, Finn, and BB-8. The Force Awakens left us with more questions than answers. The Last Jedi brings us to a definitive ending and answers some questions but sometimes not in ways we had hoped, and new ones arise to leave us scratching our heads and wanting to know more. One that stands out concerns the Force-sensitive kid that Finn and Rose meet on the planet Canto Bight. Is this the face of a new Jedi in the making and the future hope of the rebels? Perhaps the trilogy Rian Johnson is bringing to us after Episode IX will provide the answers. The Last Jedi is a beautiful, gruesome, sometimes comical film, with space and land battles, strange new creatures like the Porgs – Chewbacca’s new best friends – and the emotional heft to keep us watching (and not looking at our watches) for two and a half hours – I was amazed how quickly it went. In the end, after you assess all that you have experienced, you will be enthralled and overwhelmed. More importantly, like a most thrilling theme park ride, you will want to jump on board and experience it again. Star Wars: The Last Jedi is highly recommended, but be aware if you are considering taking younger children to see the film that it earns its PG-13 rating for violence and some scenes that may be emotionally upsetting.